Home/Healthcare/Why Does Milk Interact with Antibiotics? Why Does Milk Interact with Antibiotics? Antibiotics are known to alter the immune system to treat various conditions effectively. They may interact with the foods or medicines that have been taken with it. For example, milk is strictly prohibited for few hours before and after the antibiotics dose. Antibiotics alter the rate of food absorption in the body which restricts certain foods which will cause further problems. Antibiotics will not work for better if taken with dairy products and there will be no use of taking them. 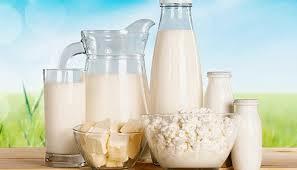 It is therefore advised not to take dairy foods like milk during the antibiotics course. Antibiotics are prescribed when an infection in the body cannot be treated with usual medicines. They work by killing bacteria or by stopping reproduction of bacteria in the system. Although such drugs have side effects on the gastrointestinal system in terms of bloating and stomach discomfort. It is normal to suffer from some level of nausea, diarrhea, indigestion, abdominal pain, or appetite changes when taking antibiotics as it alters the immune system. The right choice of foods may hep you lessen the symptoms and discomfort caused. The right foods may include probiotics and prebiotics to restore the balance. Probiotics are healthy bacteria to help reduce nausea and bloating symptoms while taking antibiotics. Prebiotics are bacteria that live in the gut system for balancing healthy immune system. Foods such as onions, garlic, bananas, and chicory root can help you retain the right balance of your gut system. It is observed that such probiotics are mostly dietary fibers which may be consumed in large quantity to support the digestive system. Milk contains more calcium content which gets absorbed with the antibiotics and does not let them enter the bloodstream. It is better to wait for three hours after taking antibiotics before consuming dairy products or any other foods that may cause delayed absorption. The full doses of antibiotics need to be absorbed in the blood to work effectively and if milk reduces the quantity being absorbed, you will be left with around half the dose which becomes ineffective. Tetracycline antibiotics are known to interfere the most with dairy foods as it combines with the calcium content to become ineffective. This results in prolonged pain and suffering as the antibiotic may not work well with milk. Which Dairy Foods Should You Avoid? While milk is dominant in the dairy family, all the derived products from it should be avoided including cheeses, ice cream, or even custard. All foods containing large quantity of milk should be avoided during the antibiotics course to stay safe and improve your condition faster. What are Other Foods that Interact With Antibiotics? There are other foods that are known to interact with antibiotics to reduce their power. These include acidic foods, foods with high fiber content, iron-rich foods, calcium-rich foods, and supplements. Acidic foods may react with antibiotics as they also contain calcium which does not let them absorb in the body. grapefruit juice is known to cause problems if taken while having an antibiotics course. The minerals contained in these foods are known to dampen the effects of medicines. Also, precaution should be taken while taking cholesterol medicines as they are known for blood thinning. These effects will have reduced effect of antibiotics on the body. Highly acidic foods can interfere with antibiotics although all of them do not interact with them. 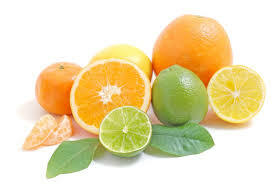 Citrus fruits, tomatoes, soda drinks and chocolates are known to reduce the effectiveness of antibiotics. It is better to avoid taking any food for safety after 3 hours of antibiotics dose. Is CBD Really Useful Without THC? What Parents Should Know About Cbd? What Causes Tingling Sensation in Breast?